Lowongan Kerja SMA SMK D3 S1 PT. Nippon Indosari Corpindo (Sari Roti) Tbk, Jobs: Kasir, Costing Officer, Area Trade Marketing, Finance & Account Manager, Area Sales Supervisor, IT Support, Etc. - #MisterSeekers #MisterSeekers: Lowongan Kerja SMA SMK D3 S1 PT. 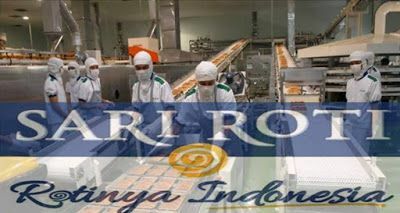 Nippon Indosari Corpindo (Sari Roti) Tbk, Jobs: Kasir, Costing Officer, Area Trade Marketing, Finance & Account Manager, Area Sales Supervisor, IT Support, Etc.